One beautiful way to style a fireplace is with a single beam protruding from the wall as a mantel. The colour and texture of your beam make a big difference to the effect, so consider what will work with the décor style of the rest of the room. 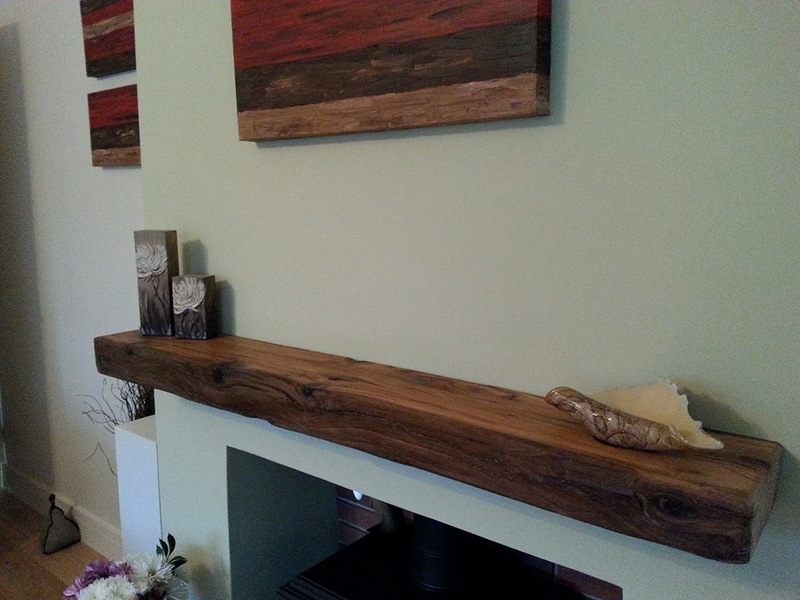 Fresh, light colours can look good with a light or bleached wooden beam that gives an almost ‘beach’ style, whereas polished oak fireplace beams can give a luxurious, traditional feel when paired with leather furnishings and deep jewel colours. To add to the minimalist look, keep the mantel fairly bare, perhaps with just one statement ornament like a candlestick or clock to draw the eye. 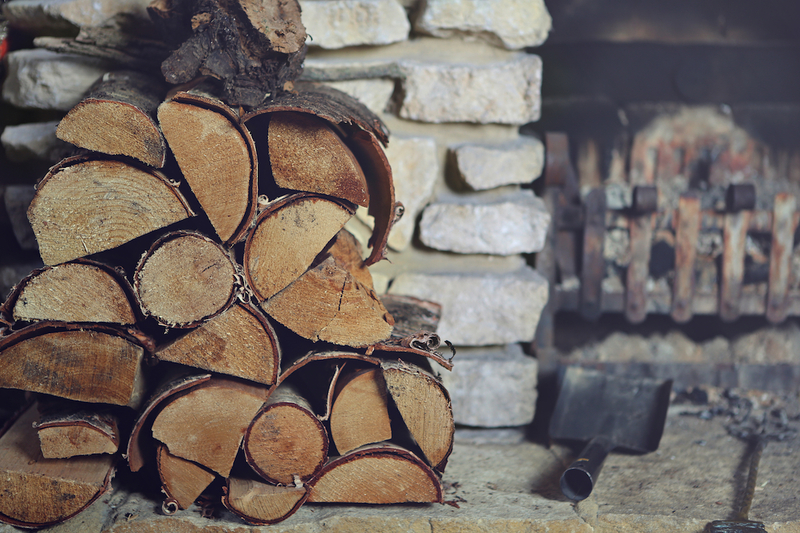 If you have a working log fire, keeping some logs indoors near the fire serves a practical purpose, but why not also include them as part of your fireplace design? Chunky logs give some outdoorsy, lumberjack charm to your fireplace set up, and the look of the natural wood can complement a fireplace with chunky, rustic beams. You usually see beams used as a setting around a fireplace that is built into the wall, but this doesn’t have to be the case. You can get a unique look by having a traditional beam frame on the wall around a stove style fireplace – for example a pellet burning stove. This makes more of a feature out of a fire that doesn’t normally sit in a traditional fireplace, and makes it feel like more of a centrepiece than an appliance. If you love the distressed, aged look of vintage wood, you can get this look and add some colour to your fireplace by painting and distressing the beams yourself. A good way to do this can be with milk paint, followed by gentle sanding. This can be a great way to make a colourful design feature out of a non-working or fake fireplace. You can create some really nice effects by using contrasting styles, for instance having very traditional beams in oak around a more modern, slick looking fireplace, or using quirky, coloured designs around a very traditional iron fireplace. Hopefully, these ideas will have given you some interesting things to work with when it comes to creating your own unique fireplace look! 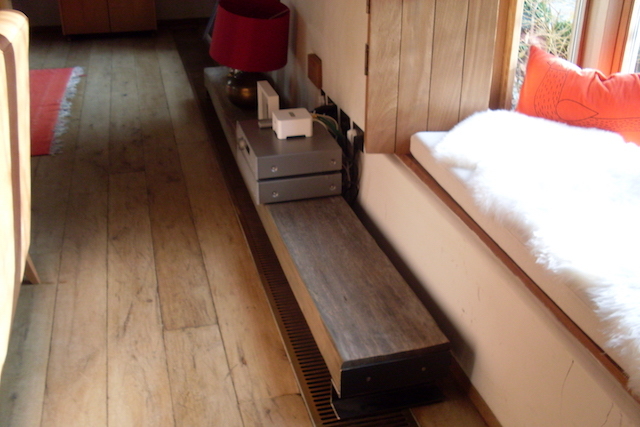 At Traditional Oak and Timber, we take pride in providing our customers with exactly what they need. 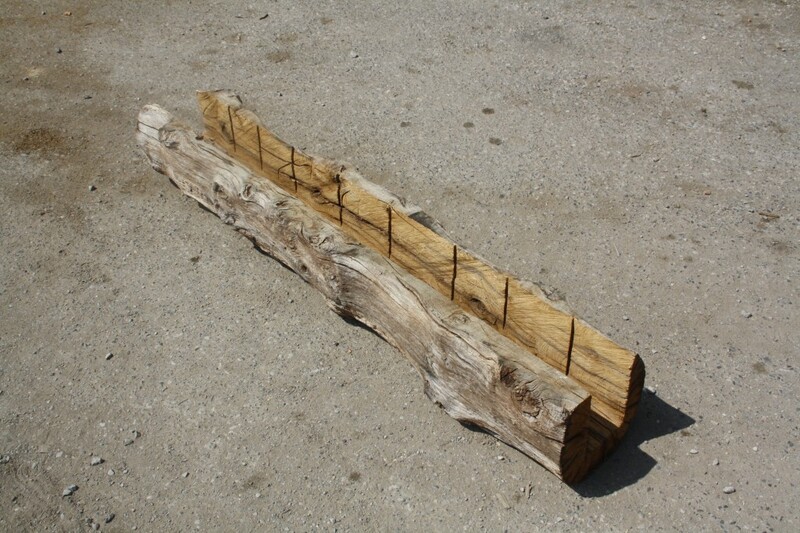 We have a large selection of oak fireplace beams in varied length with lots of character which can either be offered as a reclaimed oak mantel or an air dried oak mantel so get in touch with us today.